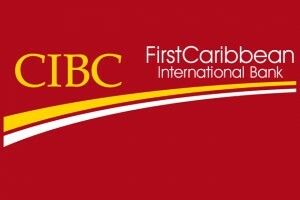 WILLEMSTAD - CIBC FirstCaribbean has announced the appointment of Mr. Edward Pietersz as Country Head for Curacao. That appointment took effect from 1st January 2018. Mr. Pietersz reports to Mr. Mark McIntyre, the bank’s Managing Director of our Cayman Operating Company, who also assumed responsibility for the day-to-day oversight of the Dutch Caribbean on 1st November 2017. Mr. McIntyre also has responsibility for CIBC FirstCaribbean’s business in the Cayman Islands and British Virgin Islands. Mr. Pietersz is a career banker, having held several senior positions with financial services companies in both the Netherlands and Curacao. During his career he gained experience in Corporate and Private Banking, Asset Management and Commercial Banking, which positions him well for his role as the bank’s Country Head in Curacao, given the bank’s focus on these areas in the Dutch Caribbean. Edward Pietersz holds a doctorate in General Management with majors in Investments and Finance from Nijenrode University and a Bachelor’s degree Entrepreneurial Studies from H.E.A.O., Haarlem in the Netherlands. Chief Operating Officer, Colette Delaney, said the move to appoint Mr. McIntyre as Managing Director responsible for the Dutch Caribbean has simplified the bank’s management structure as the Dutch Caribbean, the Cayman Islands and the BVI all fall within the same subsidiary of the bank. Mr. Pietersz’s appointment as Country Head means that the bank’s Curaçaoteam now has a dedicated resource to manage the day-to-day operations in Curacao. Mrs. Delaney took the opportunity to thank Pim van der Burg, Managing Director, Corporate and Investment Banking, for his leadership of the Dutch Caribbean operations over many years, including managing the team in Curacao. Mr. van der Burg continued to oversee CIBC FirstCaribbean’s Dutch Caribbean offices, even after he took over the Corporate and Investment Banking portfolio in 2015, and for which he retains responsibility. Mr. McIntyre, an experienced financial services executive and dynamic leader, has a proven track record of developing high-performance teams and achieving consistent results in very demanding and competitive environments. He also currently serves on the Board of Directors of several CIBC subsidiaries domiciled in the Cayman Islands and Barbados. Mr. McIntyre noted that the Dutch Caribbean has emerged as a major growth market for CIBC FirstCaribbean, and expressed his eagerness to influence the future business development strategies of the bank in Aruba, Curaçao and St. Maarten, and to shape the bank’s path in Curaçaoalongside Mr. Pietersz.